Welcome to The Catholic Gene‘s celebration of the opening of the Year of Faith 2012-2013. Officially proclaimed by Pope Benedict XVI, this worldwide focus on faith will last from today, October 11, 2012 (the 50th anniversary of the opening of Vatican Council II and the 20th anniversary of the Catechism of the Catholic Church promulgated by Blessed Pope John Paul II), to November 24, 2013, the Solemnity of the Lord Jesus Christ, Universal King. This special year is intended, according to the Vatican’s Congregation for the Doctrine of the Faith, to “contribute to the rediscovery of faith” and to help “lead those many people who are seeking it to the door of faith”. 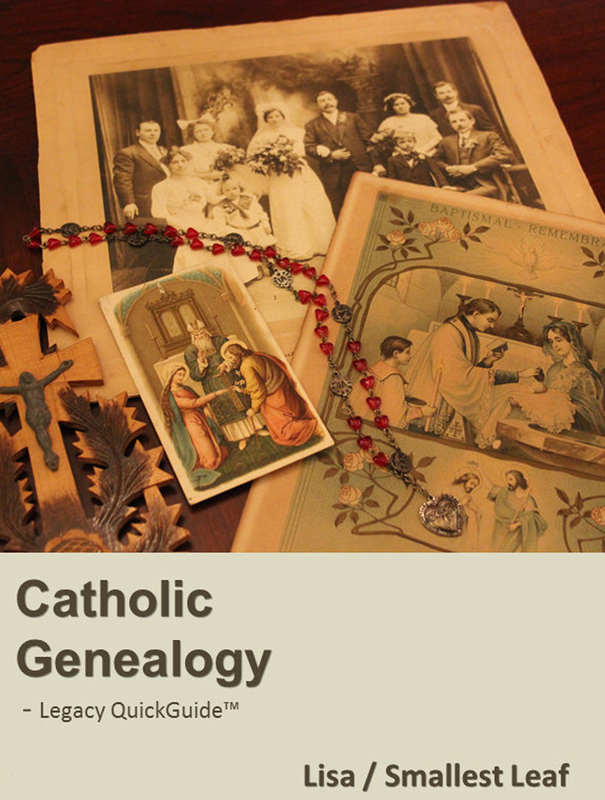 Here at The Catholic Gene, our readers (and some contributors) are made up of not only Catholic genealogists, but non-Catholics whose ancestors worshipped in the Catholic faith. We are a unique spot within the blogosphere. Today’s compilation of links highlights a wide variety of Catholic churches in many different places with many diverse stories. The authors of these articles each have a connection to one (or more) of these churches, whose “doors of faith” have played a special role in their lives and/or the lives of their ancestors. Our “Doors of Faith” celebration includes forty churches presented within thirty different articles. Included are a humble Appalachian mission church in Maryland, an iconic New York City cathedral, a Boston church on the Freedom Trail whose bell was cast by Paul Revere, and a Lithuanian church that looks like it came right out of a storybook. There are stories of visits to ancestral homelands: one blogger took her grandfather’s pipe along so he could “join her” on her trip to his parents’ childhood church in Germany; another blogger received a tour of an ancestors’ church in Italy from a 10-year-old distant cousin who joked in Italian. You’ll read about church choirs in Germany’s Rhineland, a temperance parade on St. Patrick’s Day whose proceeds went to the benefit of an Ohio church, and you’ll hear about a caged bear that was captured by a Chicago pastor! You’ll read how one blogger (me) discovered an ancestor’s contribution to a Croatian village church thanks to the help of a modern-day resident of the town and you’ll be surprised to hear the connection that one Ohio blogger found between her parish and the church of her great-great-grandparents. We hope you’ll enjoy reading these stories and seeing the photos of these “Doors of Faith” that have been important to our contributors’ families, and that you’ll be inspired to seek out the heritage of faith within your own families. Continue below for summaries of our contributors’ articles. St. Patrick’s Cathedral in Manhattan is a much-frequented stop for tourists visiting the Big Apple, but few know the history of this grand building. Though she doesn’t have roots at St. Patrick’s, Ellie’s Irish heritage inspired her to write about the cathedral on her blog Ellie’s Ancestors for our “Doors of Faith” celebration. 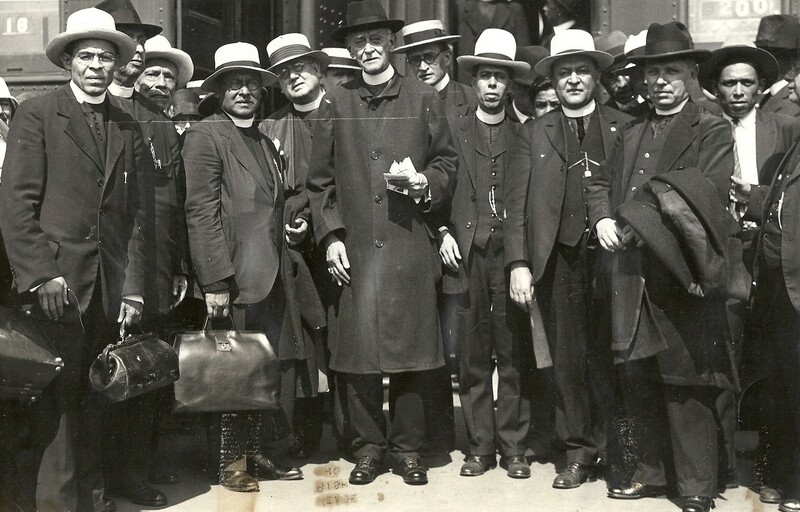 Her stirring article about Archbishop John Hughes, his tireless work for New York’s City’s poor Irish immigrants, and his connection to St. Patrick’s is one not to be missed. Another church frequented by tourists is St. Stephen’s Catholic Church located on the Freedom Trail in Boston, Massachusetts. 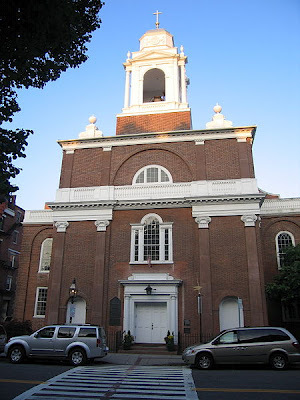 The only remaining church designed by the first American-born architect Charles Bulfinch, its bell was cast by Paul Revere himself. Yet last month’s celebration at the church was not focused on these famous connections, but instead centered on the history of the church’s role serving Catholic immigrants in Boston’s North End. For more of this story, visit my article An American Treasure: St. Stephen’s Celebrates 150 Years over at my blog A Light That Shines Again. 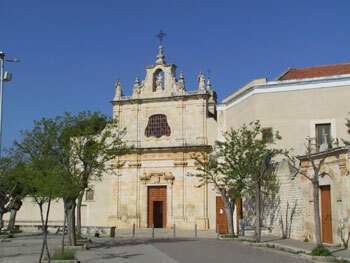 Through the help of an Italian cousin and his 10-year-old Italian-language-joke-telling son, Kathleen Scarlett O’Hara Naylor was introduced to the church of her grandmother’s family: Il Santuario del Beato Giacomo in the small town of Bitetto just outside of Bari, Italy. Hers is the story of a family’s devotion to a holy man who lived as far back as the 1400s, yet who continues to have a strong influence on the local people today – as well as those who have emigrated from Bitetto. Visit You Are Where You Came From for Kathleen’s story about her visit to the church in Bitetto and her family’s centuries-old connection to Il Beato Giacomo (Blessed Jakov Varinguez). 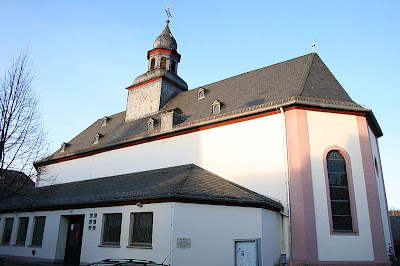 Marti Wallace of Marti’s Genealogy Adventures tells of her family’s 300-year-old connection to the church of St. Vincentius in Haselünne, Germany. She shares photos of her visit there, including her grandfather’s pipe which she brought along so that “some part of him would be in Haselünne” since he had never had the chance to visit his parents’ ancestral home. I was touched by Marti’s story of her great-grandfather’s childhood sorrow at the funeral held at St. Vincentius for his sister. 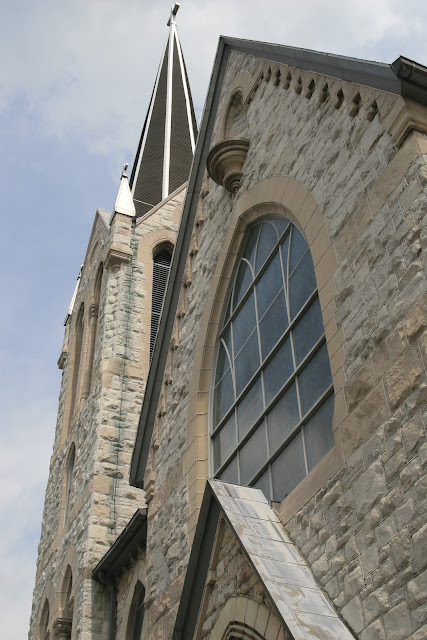 Also don’t miss Marti’s article Little Graces Connecting the Generations to read about her surprising realization of a connection between her parish and the church of her great-great-grandparents: St. Anthony Catholic Church in Cincinnati, Ohio. Jacqi Stevens of A Family Tapestry shares the story of St. Anne Catholic Church of “Southtown” Chicago that saw much change throughout its history. The church began humbly with Catholic families meeting in homes on “the plain beyond the lake where Chicago eventually stood”, saw the opening of its church building in 1880, then disappeared when parishioners moved out to the suburbs and progress demanded the building of a new expressway. 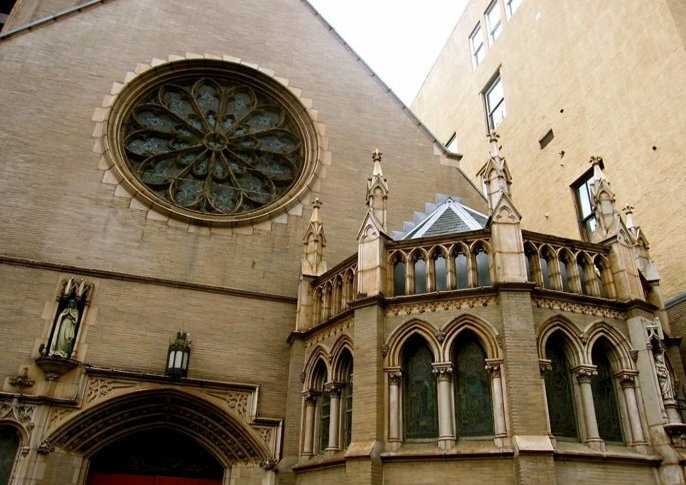 Speaking of churches that are no more, I’ve written about two such Manhattan places of worship on my blog 100 Years in America. Both Immaculate Conception Catholic Church and St. Stephen of Hungary Catholic Church originally resided on East 14th Street serving the busy immigrant neighborhoods that made up the Lower East Side of New York City. 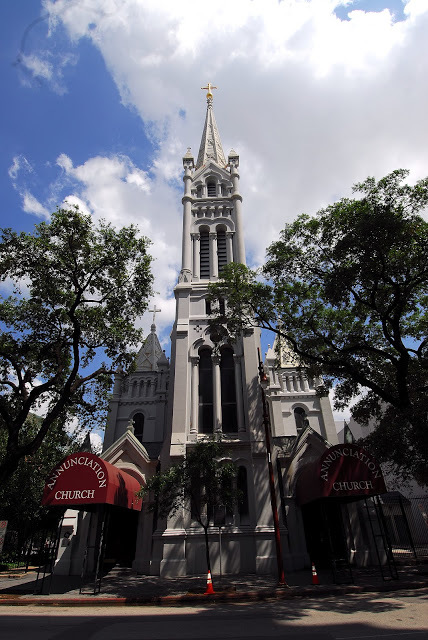 Both changed church buildings (one because of an urban renewal project; one because its congregation moved uptown), but both still have thriving parishes today. 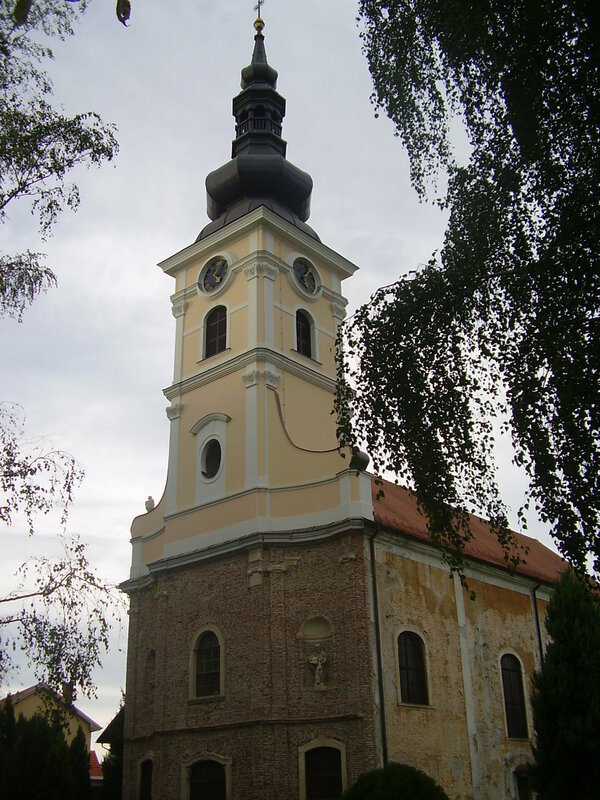 Read their stories within my “Disappearing Churches” series: Part 1 (Immaculate Conception) and Part 2 (St. Stephen of Hungary). Donna Pointkouski of What’s Past is Prologue is a prolific blogger who writes about her Polish and German roots. 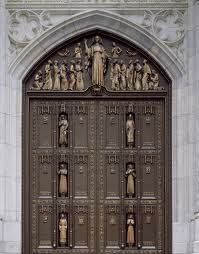 Her contribution to our “Doors of Faith” celebration is the Church of St. John the Baptist (św. Jana Chrzciciela) in Mszczonów, Poland. She has found family baptismal records at the church as far back as 1816. 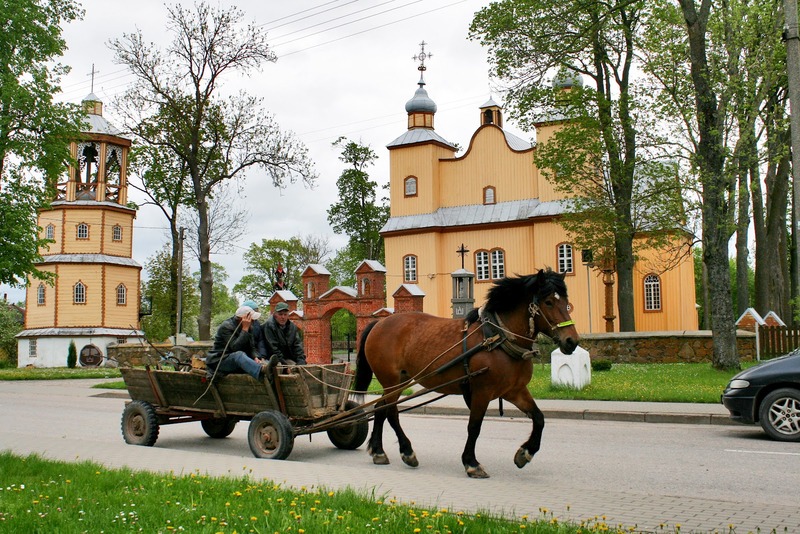 Visit Donna’s blog to view photos of the church and to challenge your Polish language pronunciation skills by trying to read the list of names of its parish priests back to 1658. Jasia is also proud of her family’s Polish roots, and has written much about her ancestors who lived in the old country and those who immigrated to Detroit, Michigan. 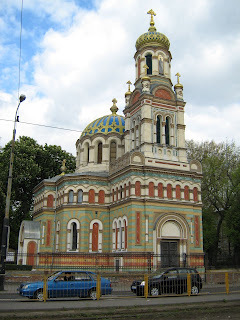 Visit her blog Creative Gene to see her “Doors of Faith” article: a wrap-up of four churches in Poland and four in Detroit where her ancestors worshipped. She has compiled photos of each of these churches with links to the articles she has written about them. They include Polish churches St. Lawrence in Wojnicz, St. Mikolaj in Zgorsko, Assumption of the Blessed Virgin Mary in Przeclaw, and Lodz Cathedral; along with Detroit churches St. Albertus, Sweetest Heart of Mary, St. Francis D’Assisi, and Assumption of the Blessed Virgin Mary. Donna Peterson’s Hanging from the Family Tree highlights two of her ancestral churches, one in which she has found family records dating back to 1732! 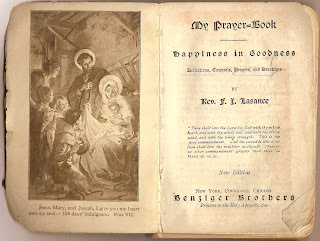 Visit her blog to read about her family’s roots at St. Mel’s Catholic Church in the Garfield Park neighborhood of Chicago, Illinois and at St. Antonius Catholic Church in Oberselters, Hesse, Germany – where her family goes back at least three centuries. Denise Levenick of The Family Curator has shared two articles with us. 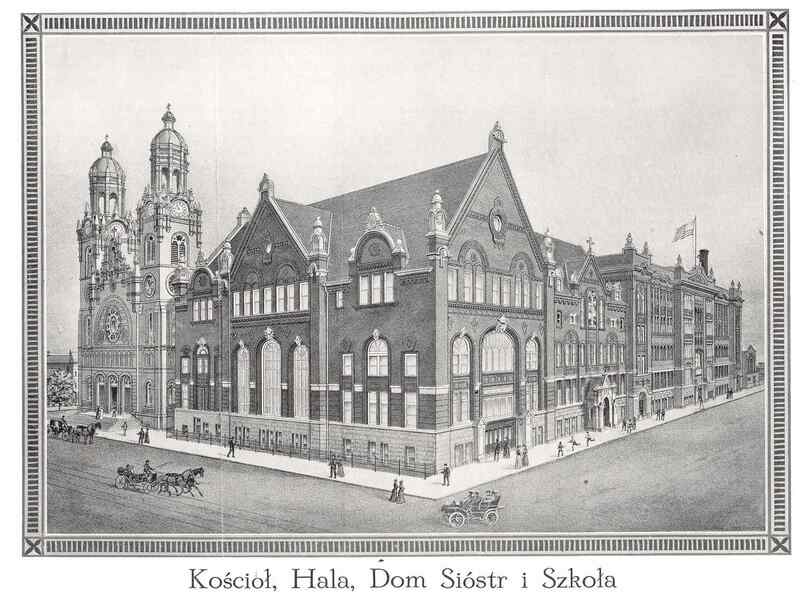 The first is the story of Rosalie Lindberg’s Chicago-Polish roots at St. Stanislaus Kostka Catholic Church in a Chicago neighborhood that looks very different now than when her family resided there in the early 20th century. 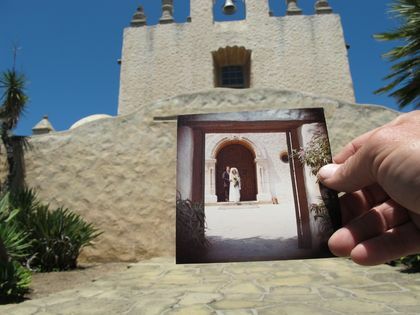 In “Dear Photograph” style, Denise and her husband celebrated their 35th anniversary by revisiting Our Lady of Mount Carmel Catholic Church in Montecito, California and taking some then and now pictures. Her photos are an inspiration to us to preserve the memory of our own personal milestones. How quickly our daily lives can turn into history! Ever heard of a Catholic church attached to a brewery? In Pottsville, Pennsylvania the famous Yuengling Brewery and the Church of St. Patrick are close neighbors. The building is actually St. Patrick’s third church since 1827, although there were Catholics in the area for decades prior to that date. Visit my article Coal region Catholics: The story of Pottsville’s Church of St. Patrick over at Small-leaved Shamrock for the history of this first Catholic church in the anthracite coal region that at one time drew the interest of the first American bishop to be canonized a saint. 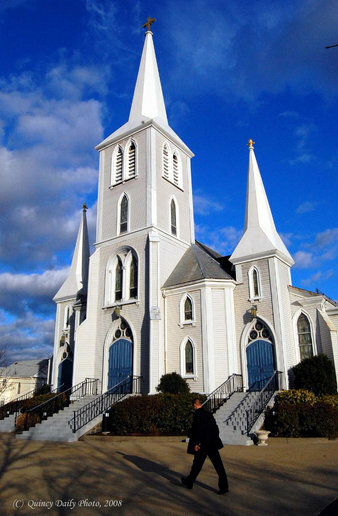 Speaking of neighbors, St. John the Baptist Church in Quincy, Massachusetts played a large role in the lives of members of the Tierney family for the majority of the 20th century – in many ways. Not only was the family very involved at the church, but they were its neighbors and lived across the street from the priests’ residence. Visit my blog A Light That Shines Again for the story Good neighbors: The Tierney family and St. John the Baptist Parish, Quincy, Mass. 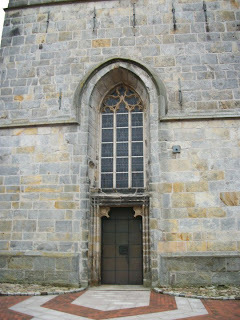 Amanda, blogger at the ABT UNK blog, has shared a number of churches with us for our “Doors of Faith” celebration. Join with her to visit the beautiful Baroque Šv. 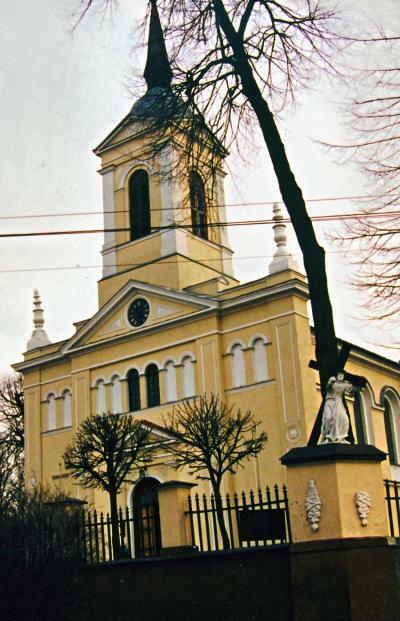 Jurgio (Saint George) Catholic Church in Smilgiai, Panevezys district, Lithuania where her great-great-grandparents were married. It looks to be straight out of a storybook! Stop with Amanda in Texas at the Gothic Annunciation Catholic Church, the oldest existing church building in Houston (built in 1866) where members of Amanda’s family worshipped from 1901 until the 1980s. 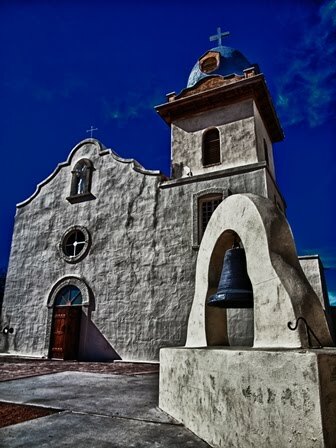 She also introduces us to Mission San Jose in San Antonio, Texas (where Amanda worked as a park ranger for one summer), St. Francis de Sales Catholic Church in Houston, Texas (Amanda’s childhood church), and St. Joseph Catholic Church in Houston, Texas. 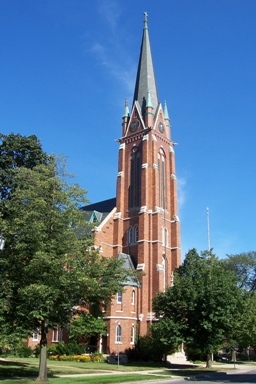 St. Nicolas Catholic Church in Evanston, Illinois was established as a German language parish and was attended by Amanda’s German immigrant ancestors. It celebrates its 125th anniversary this year. You’ll also enjoy reading how Amanda used a clue on a church door in a wedding photograph to figure out the name of St. Michael’s Catholic Church in Old Town, Chicago, Illinois; and don’t miss St. Margaret Mary Church (also in Chicago) whose pastor kept a caged bear for the Catholic school children to visit! 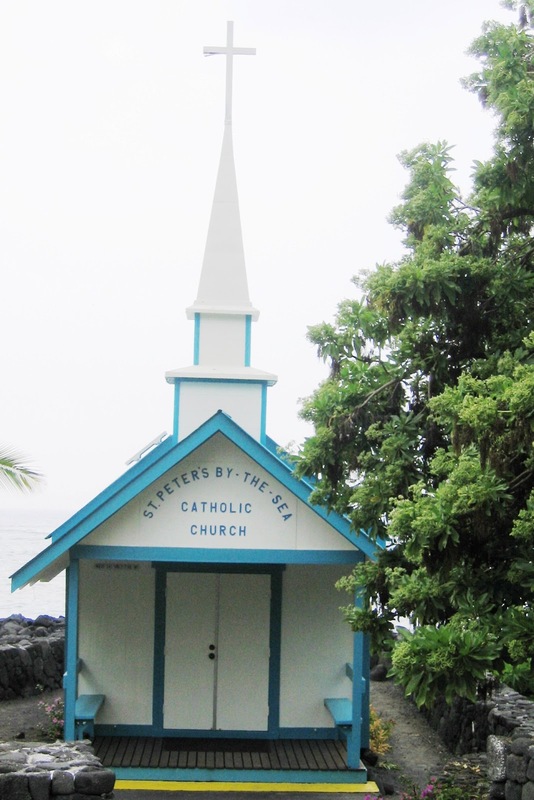 Two more articles at the ABT UNK blog highlight Hawaiian churches: St. Benedict’s Painted Church near Kailua-Kona, Hawaii, and St. Peter’s By the Sea Catholic Church in Kailua-Kona, Hawaii. Craig Manson introduces us to St. Joseph’s Catholic Church in Prairie du Rocher, Illinois – a church that was the parish home for his wife’s family for seven generations (since 1722). Visit Craig’s blog Geneablogie for details about the church that left quite a legacy within this family, including inspiring several to religious vocations. I love the way Kathy Gosz begins her article Catholic Choirs – A Joyful Noise Unto the Lord: “If you are writing a novel and you know your main character, your great-great-grandmother, came from a long line of Catholics and that…” Visit her blog Village Life in Kreis Saarburg, Germany to read more. 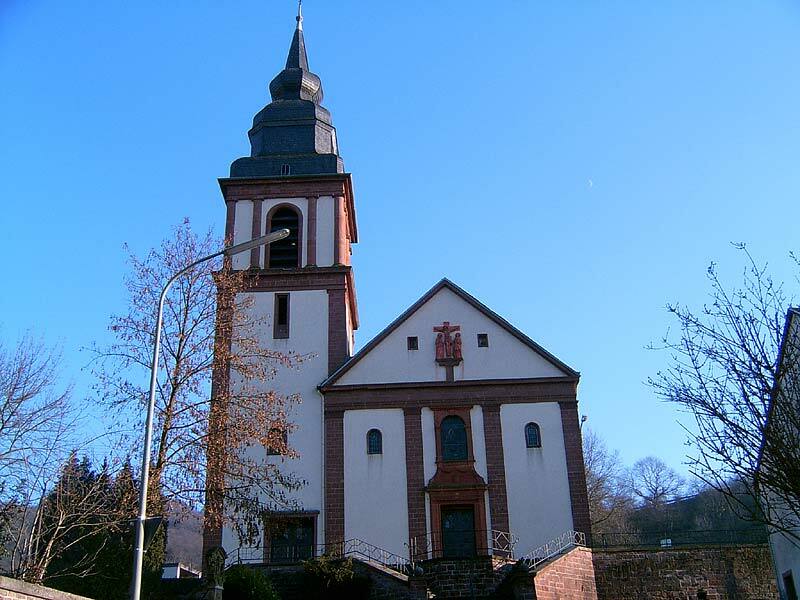 She has used social history to research her family’s church life in Germany’s Rhineland within the towns of Zerf and Oberzerf (St. Laurentius Catholic church and the chapel of St. Wendalinus), and at St. Martin Catholic church of Serrig, and Saints Gervasius und Protasius church of Irsch. You’ll enjoy Kathy’s detailed look at German church choirs going back to the 18th century. 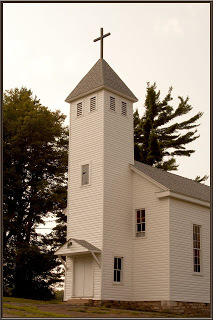 Katy Wech of the CentralPAGenealogist blog shares her family’s connection to the little St. Ann’s Mission Church in the Appalachian Mountains in Avilton, Maryland within her article entitled An Inheritance of Faith. Katy tells how her family first settled the area and how the entire church cemetery is probably related to her! 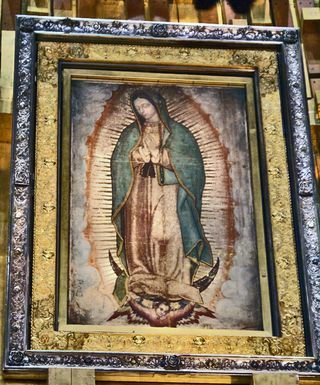 Visit her article to read about the genealogical challenge presented to her by one of her ancestors who had lived in a neighboring state, died across the border in another state, and was buried back in Maryland at St. Ann’s. 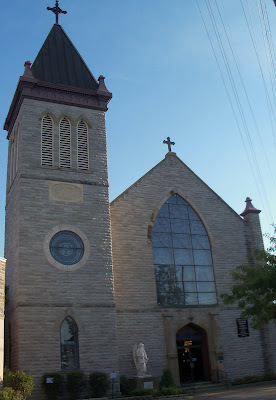 Holy Angels Church in Sandusky, Ohio was the church home of Dorene Paul’s ancestors in the mid-19th century. 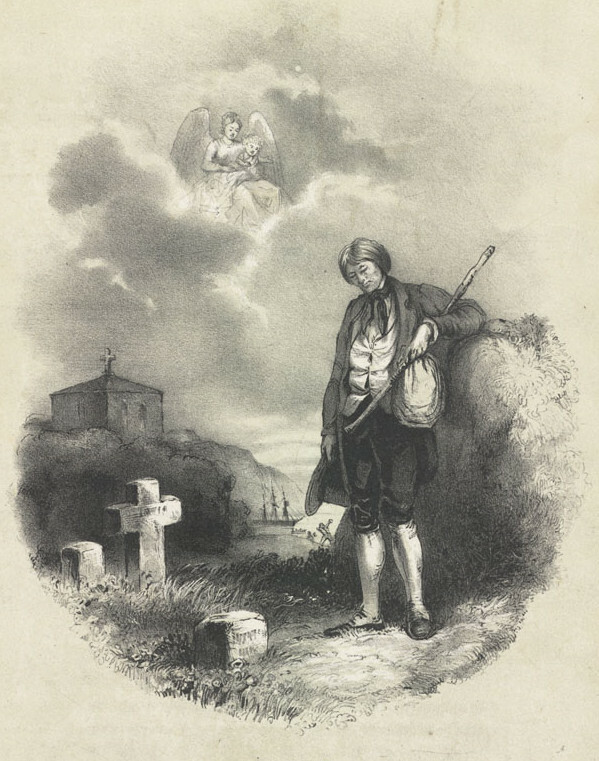 Visit her blog The Graveyard Rabbit of Sandusky Bay to learn the story of her family’s role in the St. Patrick’s Day festivities of 1844 that included a public pledge in the newspaper against the use of intoxicating beverages, and a temperance parade whose proceeds benefitted the church. The last article is a special one to me. Shortly after had I conceived the idea for and announced this “Doors of Faith” celebration here at The Catholic Gene, I received a message from a current resident of my ancestors’ village of Legrad, Croatia. 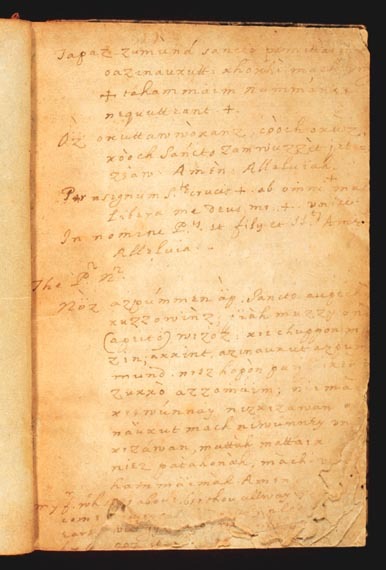 Within a Croatian language history book, he had found information about my 3rd great-grandfather’s special contribution to the church back in the year 1858. I was thrilled to learn this bit of history, and to be able to share it here in celebration of the opening of the Year of Faith. Visit 100 Years in America to find my article What a surprise! Great-Great-Great-Grandfather’s “Doors of Faith” for the full story. Thank you for joining us to celebrate the opening of this special Year of Faith 2012-2013 here at The Catholic Gene. We hope you’ve found some inspiration to seek out your personal heritage of faith within your own families, and we look forward to you writing and sharing it with us! Update: The Year of Faith has begun! Visit The Catholic Gene celebrates church “Doors of Faith” for our wrap-up of forty churches whose stories are told within thirty different articles by our contributors. 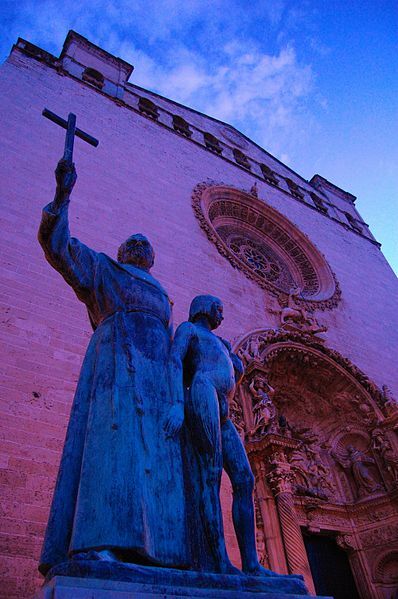 Do you have ancestors who worshipped in the Catholic faith? Would you like to share photos and/or stories about a Catholic church (or churches) that played a special role in your family members’ faith lives? If so, please join The Catholic Gene in a celebration of Annus Fidei: the Year of Faith 2012-2013. Send the link to your article to us by sending an email to CatholicGene@gmail.com. Deadline: Friday, October 5, 2012. Extended to Sunday, October 7, 2012. 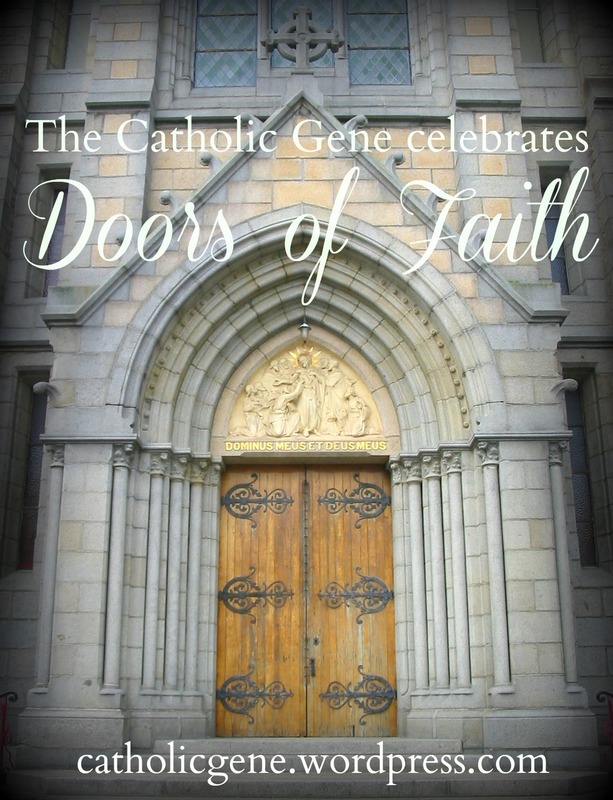 Finally, celebrate the new Year of Faith with us on its opening day – October 11, 2012 – by seeing the photos and reading the stories of other families’ “Doors of Faith” that will be highlighted here at The Catholic Gene on that date. 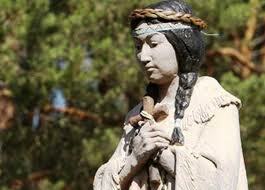 Places of worship have played important roles within many of our lives and the lives of our ancestors. As this Year of Faith begins, we look forward to seeing the photos and reading the stories of the Catholic churches that have helped to spark the light of faith in the lives of your families over the centuries. Please spread the word about “Doors of Faith” and feel free to use the image and logo above. See you there! Many of our immigrant ancestors set off on arduous, expensive and potentially life-threatening journeys to the United States for various reasons, very few of them trivial. They left their homelands in search of opportunities for work, chances to own land, and other ways to better their lives. 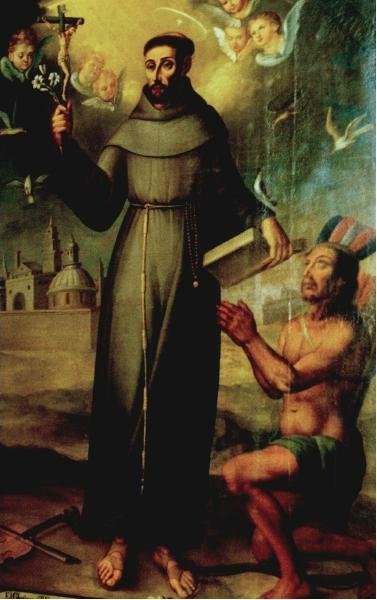 Like the first pilgrims that set foot in what would become New England, many immigrants over the centuries also came to America in search of religious freedom, Catholics included. The Bishops have challenged Catholics to focus their thoughts and prayers during this two week period on the importance of the right to a living, active faith unhindered by the restrictions of government. This topic is vitally important to people of all faiths, not just Catholics. Here at The Catholic Gene – where we gather to share the stories of our Catholic family history – we would like to hear your stories. What has religious freedom meant to your family? 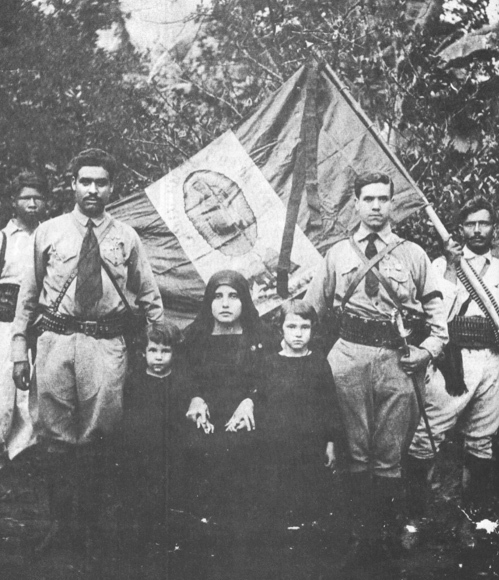 Did your ancestors flee a country that would not allow them to worship freely (like many 20th century Mexican immigrants)? Did they meet with persecution because of their faith? Or did they play a role in preserving and strengthening their community of faith during times in history when religious freedom faced no obstacles? As with many of our American values, the commitment to religious freedom has seen its ups and downs. Do you have Catholic ancestors who first settled the Maryland colony later to be impacted by new laws against Catholic education and the destruction of Catholic schools? Do you have family members who told stories about anti-Catholic sentiment against political candidates? Or did your ancestors worship in other faiths and face religious persecution in other countries? Share your stories with us in the comments section here at The Catholic Gene. Help us take time to remember the stories of some of those who risked their lives and their livelihoods for the ability to worship and practice their faith freely, and the stories of those that lived inspiring lives of faith during the springtimes of religious freedom. We hope that readers will be inspired to look at the history of our religious freedom in the United States, and join in prayer for the continuation of this vital liberty that is so important to us as Americans. For more information about the history of religious freedom in the United States, you might be interested in reading Liz O’Connor’s article Approaches to Religious Freedom Have Developed Over Time on the United States Conference of Catholic Bishops website. Whenever I’m in the midst of lamenting about some unjust change to my personal way of life, my mother always shakes her head and calmly states, “You never did like change.” She’s right, as moms always are. Sometimes it was simple changes that bothered me, like my favorite television show moving to a different night or a good restaurant closing. Other times my life had the bigger changes we all face from time to time: a new subject in school, friends moving away, or a new position at work. No matter how serious or frivolous, I was always a bit reluctant to embrace and accept whatever change came my way. The comfort I find in routines and rituals is one of the many reasons why the celebration of Mass is special to me. As I hear the familiar words and prayers, I forget whatever is troubling me and lift my heart in prayer. The words are so ingrained in my memory that I don’t need to look at a missal to follow along – I know what’s coming next. The words are familiar; they are comfort food for my soul. If you knew these things about me, you would assume that today would be very difficult, for the Mass as we know it is changing. The new translation of the Roman Missal begins today, the first Sunday of Advent. The “old” English translation of the Mass will never be used again. But what theoretically should rock my personal ship of comfort in a big way isn’t; I’ve actually been looking forward to the new translation. As a person who enjoys the familiar, my anticipation of such a major change is rather surprising. After all, the order of the Mass that is changing is the only one I have ever heard – I’m too young for the pre-Vatican II Latin Mass. But as much as I love the comfortable and routine things about life, I’m also a lover of language. And while comfortable, familiar, routine words and phrases are good, there’s something to be said for improving the good to make it even better. By now most church-going Catholics have heard about the change, which is giving the English-speaking world a more faithful translation of the former Latin Mass. When I first heard about it a couple of years ago, my first thought was, “Oh, good!” because I recognized that something wasn’t quite right with the words I was so used to saying. When I attended Mass in Italy, I realized that the congregation was not saying what we say in English. 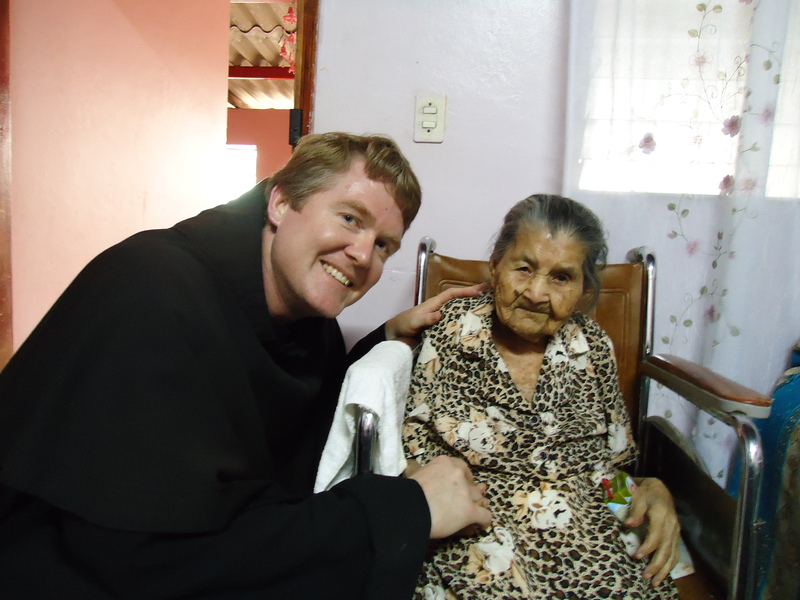 The phrase that I understood was the people’s response to the priest’s greeting of “The Lord be with you”. I knew enough of the language to know they were saying “And with your spirit” and I knew that the phrase had been the response in the older Latin Mass. And I wondered…why was our English translation dumbed down? The language of the Mass that I have come to know wasn’t exactly a word for word translation of the old Latin. Maybe “dumbed down” is a little harsh – I’m sure the original translators would have said that the language was “more accessible”. In fact, the main complaint about the new translation is that the language is becoming too lofty – too inaccessible for our modern sensibilities and understanding. But give us a little more credit than that – maybe the words we use for worship should be lofty and majestic! We are worshiping our Creator, not conversing about the latest reality show. Starting today, the words will be more poetic – especially the prayers that the priest will say. The one familiar phrase I will miss is in the prayer after the Our Father (called the embolism) in which the priest prays to “protect us from all anxiety”. I always liked the sound of that. The new version will ask to keep us “safe from all distress” – an equally comforting thought, but it will sound different to my ears. Change isn’t easy, and I think it will take a long time until I’m used to the new words and know them by heart the way I knew the old. To get to that point, I’m going to have to do something that we often forget to do when it comes to the “familiar” – I’m going to have to listen. While it will take a while for me to remember the new words, I will come to appreciate the richness and beauty of the new translation. Some day those of us that grew up with “the old” will either remember this shift to “the new” as a significant change – or the “new” will become so familiar that we won’t ever remember the liturgy having been different. Take time to listen closely to the “new” liturgy and enjoy some of the poetic imagery. It may sound a little different from what we’re used to, but the words are beautiful. 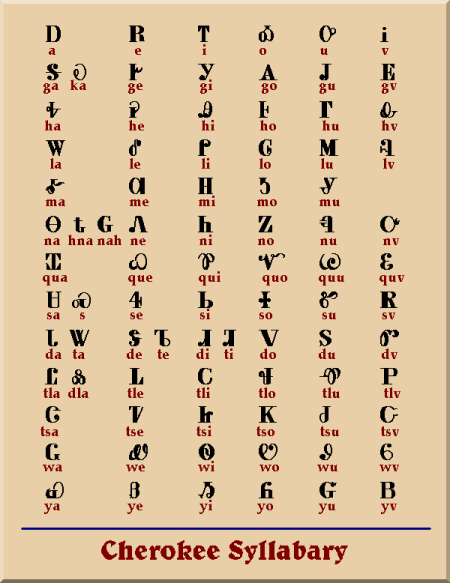 If a skeptical routine-loving change-resister like me can appreciate the fine tuning of the language, anyone can. My grandfather gave up his rights as a citizen of the empire of Austria-Hungary back in 1929. According to his petition for naturalization, it was his “bona fide intention to renounce forever all allegiance and fidelity to any foreign prince, potentate, state, or sovereignty, and particularly to The Republic of Austria and the Present Government of Hungary.” Still, I feel a strong attachment to the nation where he got his start in life before emigrating at the age of 2 ½. Young Pista Toth ("Pista" means little Stephen in Hungarian) made the journey with his mother and siblings from his family's home village of Gelej, Hungary to the port of Hamburg, Germany and then to New York City aboard the U.S.S. Pennsylvania in 1907. Here are their names on the passenger list. Though I haven’t yet had the opportunity to visit the land of my ancestors, the culture and traditions of Hungary have become a part of my identity, as has the Catholic faith passed down to me through my Hungarian family tree. I am saddened by the stories of the suffering of the Hungarian people (including my own distant cousins) under Communist rule, and often wonder how the lives of those in my branch of the family might have been different if my great-grandparents had not made the decision to take their four young children to America at the birth of the 20th century. With this background in my family, I was very interested to hear the news that a new Hungarian Constitution taking effect in January 2012 takes brave steps to renounce its former Communist overlords and the current European trend toward modernism and reaffirm its national heritage based on the thousand-year-old Christian and nationalist foundation of Hungary begun by King St. Stephen. 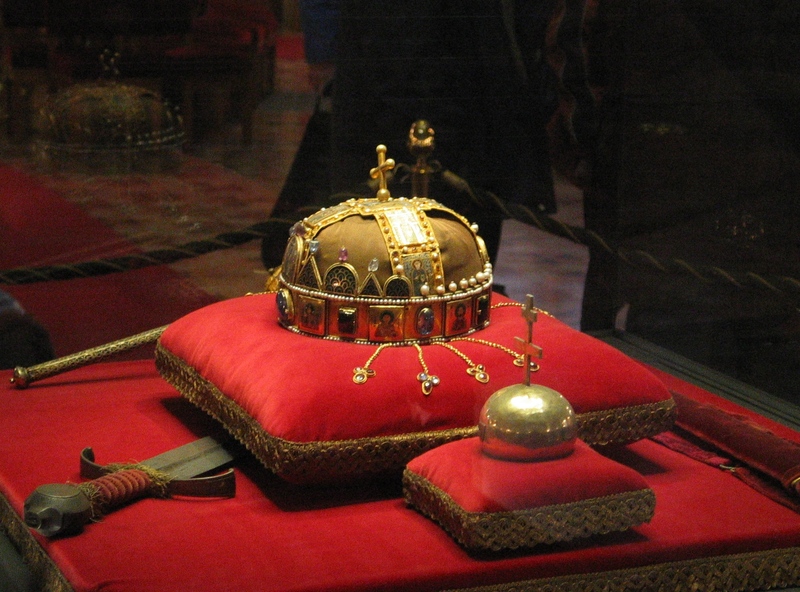 Hungary's national treasure - the Crown of King St. Stephen - was a gift from the Pope in 1000 A.D. The constitution is decidedly Christian, pro-tradition, pro-family, pro-children and pro-life: all important elements of the Catholic faith. Below are a few elements of and excerpts from the new constitution, including its National Avowal of Faith (which I encourage you to read in full). As Europe continues to reshape its identity in the 21st century – what has been termed a post-modern age – it is interesting for those of us with ties to our Hungarian Catholic heritage to watch the reaffirmation of the thousand-year-old faith foundation that is our legacy.